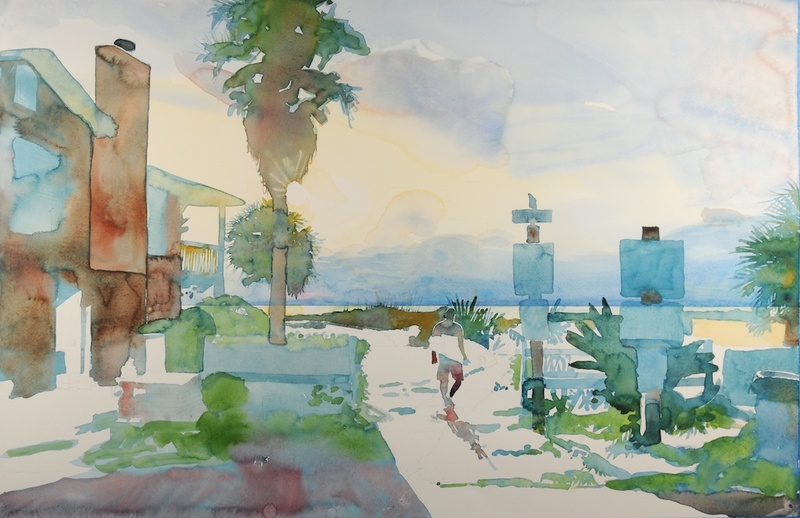 "South & Strand", by Robert Leedy, watercolor on Fabriano Artistico 140 lb. Soft Press paper, 18.5" x 28.5"
It is interesting to compare the initial start of this painting [see below]. That stage of the painting was quite fresh with a truthful rawness to it and marks that were deliberate yet exploring at the same time. It was a good start. Good bones as I mentioned in a previous post. Hopefully, I took it in the right direction and retained some of that freshness. I probably could have taken the painting further but I was in danger of losing the nice character so prevalent in the medium of watercolor. But most importantly, it was a fun journey. I enjoyed myself the whole way through! 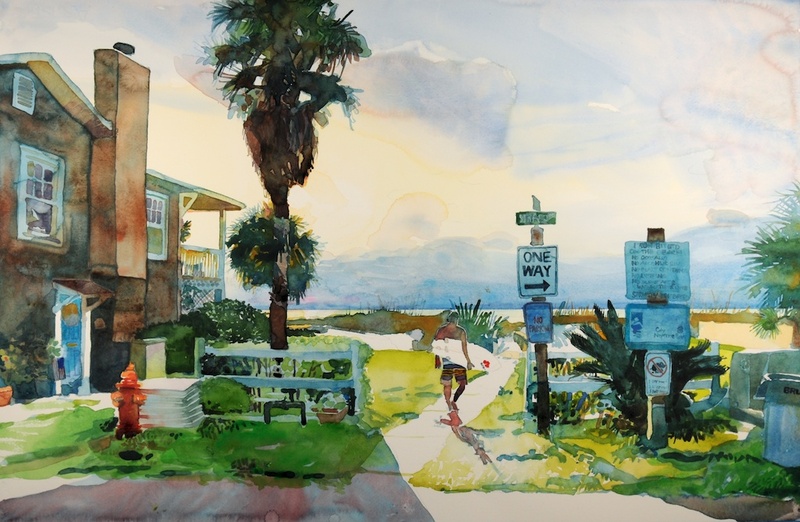 "South & Strand", by Robert Leedy, watercolor on Fabriano Artistico 140 lb. Soft Press paper, 18.5" x 28.5", UNFINISHED.